Before I get to the exciting honey news, Rosemary is trucking along, and I decided to remove the entrance reducer and add a third super to the hive. 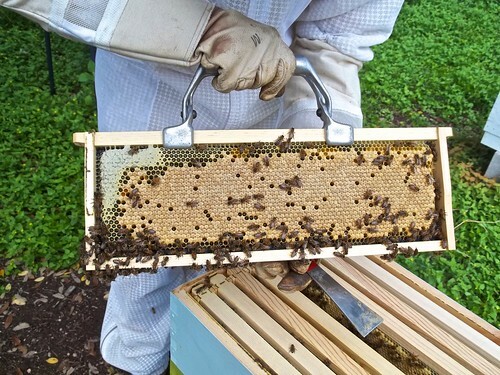 She is starting to store honey in the frames so I also removed the feeder and will hopefully be done feeding this hive for the season. This is a good thing with her propensity for building wax on the inner cover with the feeder on. Nothing too bad this week, but I’m glad to be done with holding my breath every time I open the hive. Moving on to Baab-Brock farms, Rue surprised me with her third super entirely filled with honey. They are just starting to cap it so it is not quite ready to harvest. There must be a good flow on for them to basically fill out a super in a week’s time. 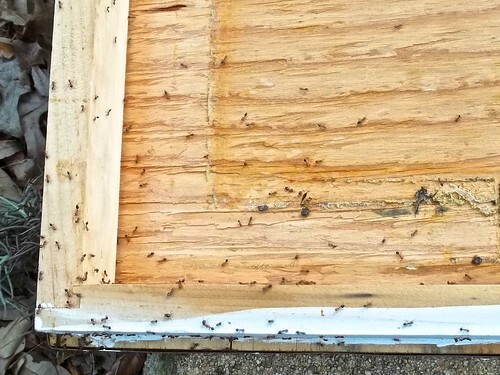 My only concern with harvesting out of this hive is I was feeding them up until the 20th. 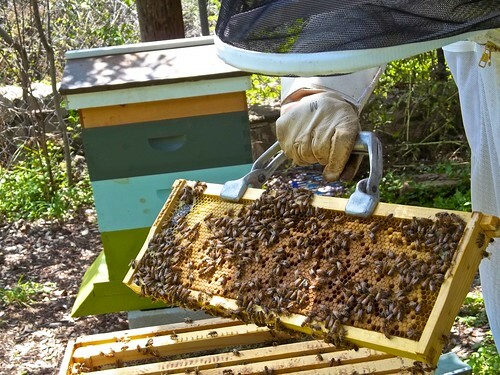 While the bulk of this wax and honey has been drawn out in the past week, there could be a few frames of “honey” they may be the syrup I was feeding them. 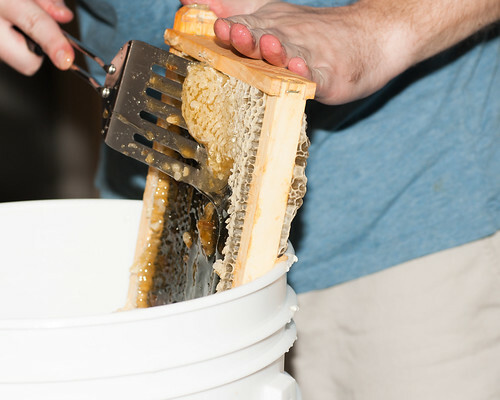 The hero of this week is Knives 2.0 for having 2 supers filled with honey in various stages of curing. 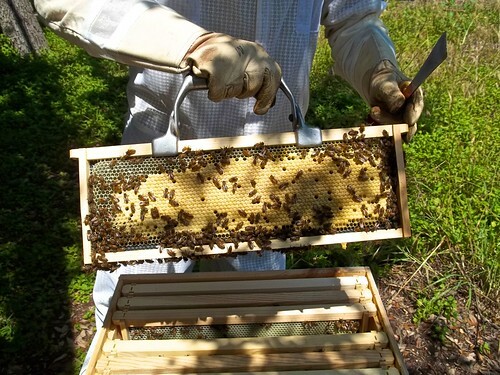 I was able to pick out 8 frames of capped honey for harvesting. I didn’t get a chance to use the bee escape as I was out of town for most of the weekend. 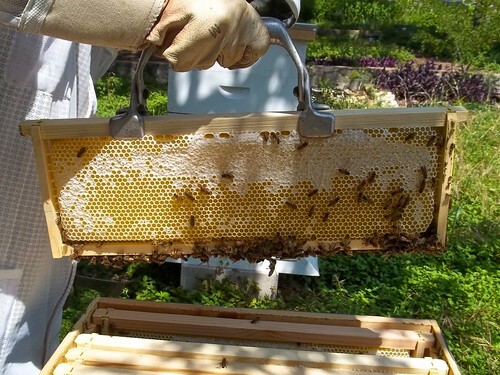 I was concerned about brushing the bees off the combs, but Knives 2.0 makes some chill bees so it was a non-event. One of the days I’m going to buy an extractor, but until then, it is the crush and strain method for me. Here is a shot of all the wax in the first straining bucket. 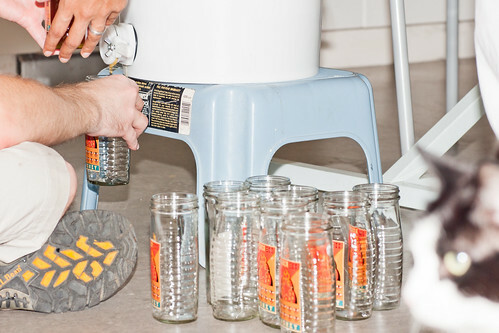 After it strains through the first bucket and then a fine mesh, it is ready to bottle. Please pay no attention to the cat. 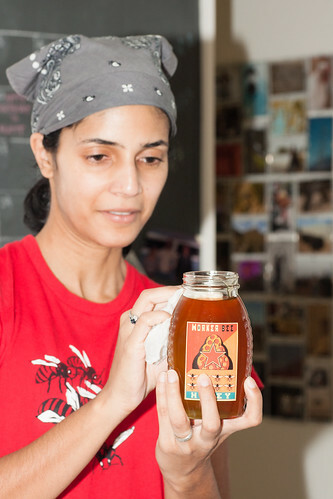 Worker Bee Honey is bottled in near cleanroom facilities. 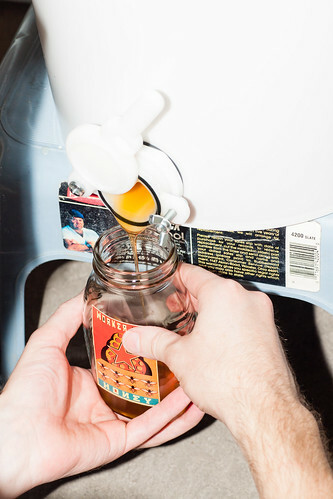 Bottling in Worker Bee Honey clothing is essential for extra flavor. After all the honey drains, you are left with wax that needs to be melted and used for various fun projects. Stay tuned for those in future posts. I can almost taste the honey! 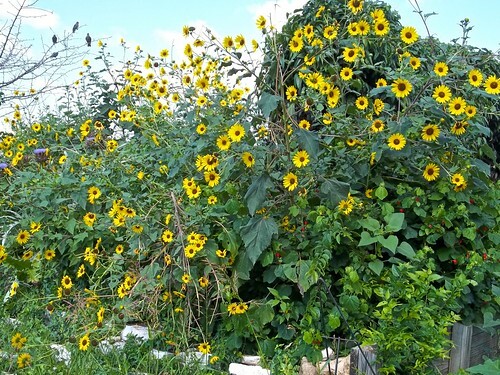 All the rain in Austin has kept the area green and blooming for the past few months. 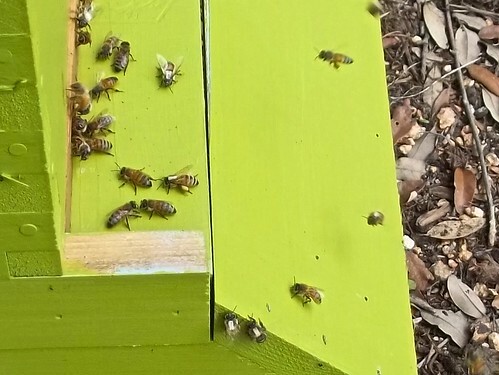 Rue’s bees are coming back to the hive almost white they are covered with so much pollen. We suspect it is bindweed, but who knows. 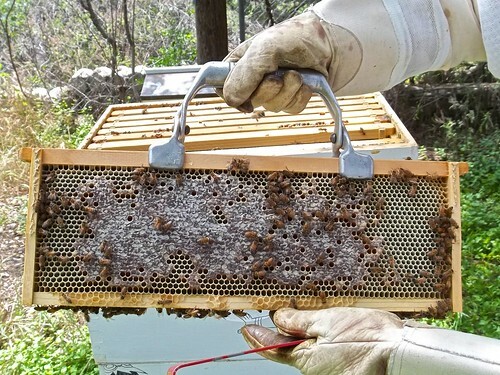 Regardless, the bees certainly seem to love it and are bringing tons of it back to the hive. 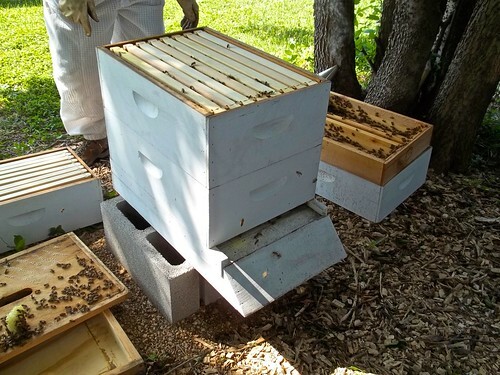 I was able to take the feeder off of Rue’s hive as well as remove the entrance reducer. She is starting to store away the stuff so that tells me the hive is bringing in plenty from the outside world. 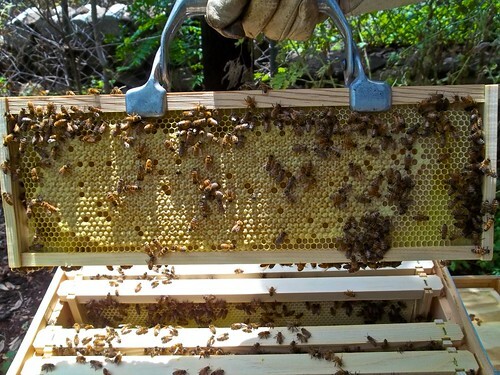 She is also laying beautiful frames of brood. The most exciting news is over with Knives 2.0. They are packing away the honey in the upper supers. 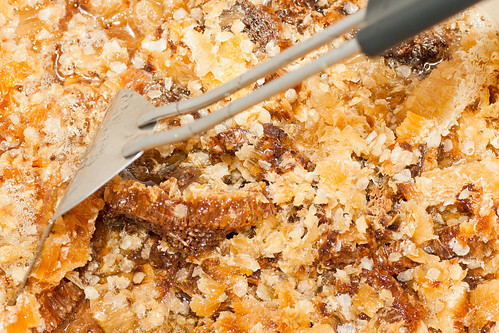 Here is a frame of uncapped honey. Here is a frame where they are already capping it off. 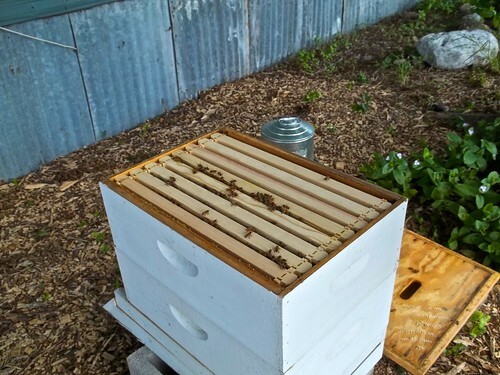 I only have 2 bottles of honey left from spring 2011 so it will be fantastic to pull some honey off my one established hive. I’m not counting on any honey from Rosemary and Rue unless we have a rainy summer. We shall see as the season progresses, but after last year’s drought, we’ll be thankful for any excess liquid gold they can produce. I had a full day checking on my hives before heading over to Hope Farmers Market for Lemonade Day. My first stop was Sunshine Community Gardens to check in on Rosemary who is now officially on my bad list. 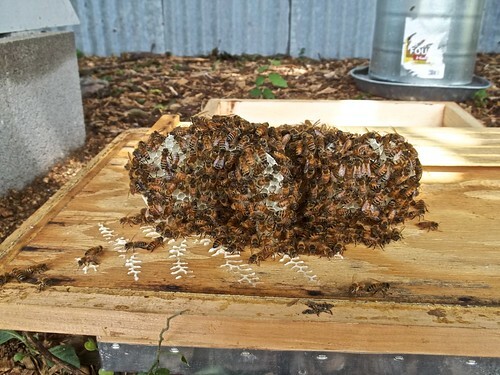 This hive loves building comb in the wrong spots. Even though the 1st super still only has about 5 frames of drawn out comb, I went ahead and added a 2nd super to hopefully encourage them to build comb somewhere other than the inner cover. I may come back mid-week to see how they are progressing. 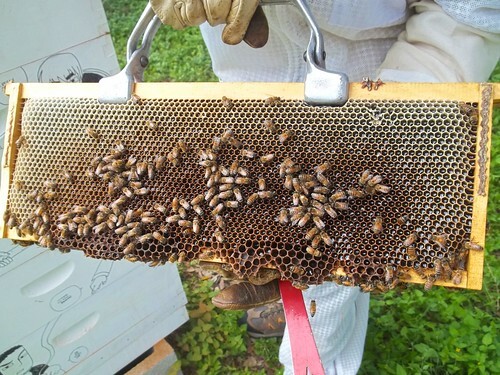 Next stop was Baab-Brock farms to take a look at Rue’s hive. 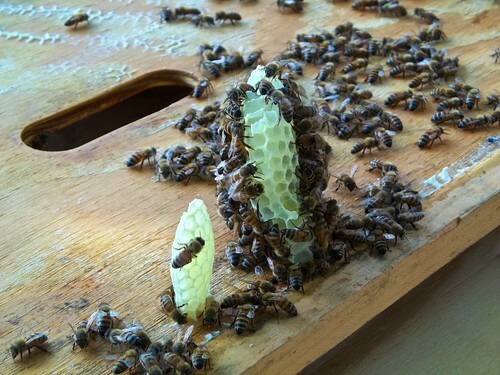 This hive is doing fantastic with great brood patterns. The 2nd super is almost all filled out as well so she may be getting her 3rd super as soon as next week. After all the hard work of inspecting the hives, Gitanjali and I were able to treat ourselves to some delicious homemade lemonade. Here is Mikaila taking care of all her thirsty customers. 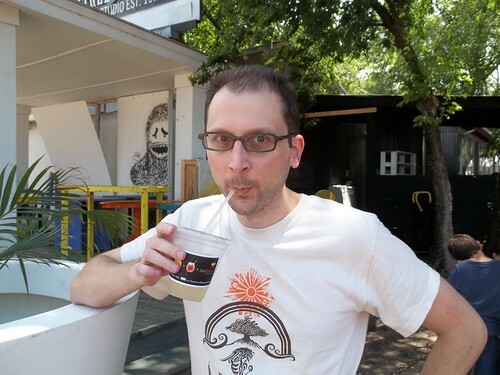 The lemonade struck the perfect balance between tart and sweet. The only bad part was it didn’t last that long. 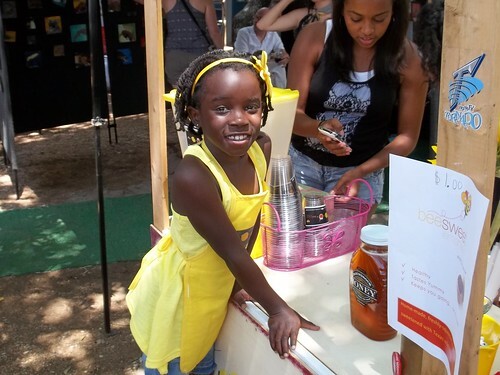 Mikaila Ulmer will be participating again on National Lemonade Day at the Hope Farmers Market this Sunday May 6th from 11 a.m. to 2 p.m. She won “Most Creative Lemonade” in 2011, and I’m sure she is hoping for another strong showing this year. She makes home-made, freshly-squeezed lemonade with Texas wildflower honey & flaxseed inspired by a recipe found in her great-grandmother Helen’s vintage 1940s-era cookbook. 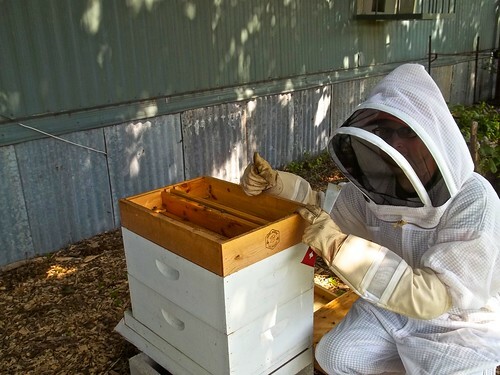 She even donates 20% of her profits to the Texas Beekeepers Association. I didn’t make it out to her stand last year, but I’m not going to miss it this year.